Coffee is a staple beverage for people all over the world. However, it has gained a bad reputation in some circles, with concerns over problems including adrenal fatigue and myths about stunted growth. But the truth is that coffee carries many health benefits. The difference between studies that report coffee to be beneficial and those that deem it harmful is the quality of the coffee. A general rule to follow is that coffee beans are higher in quality than instant coffee. Fortunately, coffee made from clean beans can offer numerous benefits. A study in the journal Gastroenterology found that consumption of two cups of coffee each day was associated with a 43% reduction in the risk of liver cancer. Additionally, a meta-analysis showed that coffee can reduce the risk of liver cancer by 50%, with the risk reductions being higher for men at 62%. Besides liver cancer, research has found that four or more cups of coffee per day can lower the risk of prostate cancer by 59%. Further, five cups per day can decrease breast cancer by 29% overall. Specifically, the risk of oestrogen receptor negative cancers dropped by 59%, and postmenopausal cancer by 37%. Yes, coffee can even reduce your chances of dying. A meta-analysis involving a total of 997,464 people found that four cups of coffee per day reduced the all-cause mortality rate by 16%, while three cups each day lowered the cardiovascular disease mortality rate by 21%. Among other coffee health benefits, research by the University of Illinois has found that caffeine can block brain based inflammation implicated in many neurodegenerative diseases such as Alzheimer’s disease. It has the same effect as blocking the inflammatory chemical IL-1, by inhibiting the enzyme known as caspase-1, which triggers the production of IL-1-beta. Caffeine’s ability to block receptors that help activate caspase-1 is associated with cognitive improvement and protection against Alzheimer’s disease. We know that withdraw from caffeine can actually cause terrible headaches, but coffee may actually have the opposite affect when ingested in moderation. A study in the Journal of Headache & Pain has found that those drinking two or three cups of coffee each day experienced the lowest incidence of chronic headaches. This is because caffeine helps prevent vascular spasms and helps to block pain receptors on nerve endings, acting much like low-dose aspirin. Let us know in the comments if you think this is true or false. While coffee is more often thought of as something to detoxify from, a study of 27, 793 people found that at least 3 cups of coffee per day is associated with a reduction in abnormal liver enzymes. This effect was stronger with decaffeinated coffee on the enzymes ALT, with a 38% risk reduction instead of 25%, and AST, with a 26% reduction as opposed to 18%. Additionally, drinking at least 2 cups of coffee per day reduces death from cirrhosis by 66%, whereas other beverages such as fruit juice and tea do not affect cirrhosis mortality. Dave Aspey, author of The Bulletproof Diet, states that the polyphenols found in coffee are a prebiotic for the Bacteroidetes genus of gut flora, which are associated with weight control. The population of this type of bacteria cannot be increased with probiotics, making it necessary to feed the existing colonies. Furthermore, one of the antioxidants in coffee, chlorogenic acid, has the ability to help prevent weight gain and maintain normal blood sugar levels, thereby being protective against type II diabetes. However, adding copious amounts of sugar to your coffee can offset these benefits and is therefore not recommended. For weight control and all of coffee’s other health benefits, it is best to drink coffee black or with a little milk and sugar. The one critical issue you left out of this otherwise excellent article is the freshness of the coffee in question. Probably 90% of the coffee consumed out there is two weeks or more since roast, and badly oxidised. This “staling” creates long chain organic acids that are very harsh, and cause things like gasric reflux, bowel irritation, liver and kidney stress (having to cleanse the body of these harcsh chemicals). ALL coffee consumed should be used within one week at most from roasting, unless specially packaged to preserve it (notro vac, or oxygen absorbers, and sealed in high barrier multilayer bags with degassing valves. Then it should be groung within ten minutes or so of brewing, and brewed in a manner to reduce formatino of other long chain organic acids…. which means the average home brewer sold at department and home stores should be avoided, as the breweing water is too cool and does not properly extract the flavour oils, but does get the harsh acids. Find one of the home countertop brewers certified by the SCAA…. they use water hot enough to brew properly. 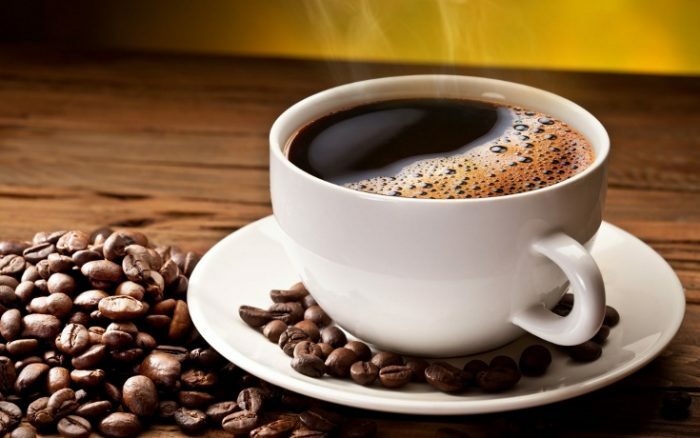 So, while this article does contain useful information, many will continue to experience health issues related to drinking defective coffee and likely not see the benefits listed here. Best is to learn to roast it yourself freash at home… always clean, sweet, and fresh, it brings the most of the health benefits listed here. Its also cheaper……. I’ll bet before long, a study will come out saying that smoking is very good for you, too! You don’t have to wait. A report several months ago stated just that. That smoking, in moderation at least, is actually good for you. Hah! I’ve been saying that all of my life. I don’t believe that it is “addictive” either (It’s pleasurable…so people tend to indulge, like any other pleasurable habit)- as all of my life, I’ve been one to buy a pack maybe once every three or four months, and smoke it over the course of 3-7 days. People in Italy (which is where my grandparents are from) smoke quite commonly, and yet don’t have the high rates of lung cancer; emphysema; and all that good stuff, like we do here. So much of this “science” they’ve been shoving down everyone’s throats for the last 50 years, is a bunch of BS. Trouble is, now that science/BS is the official religion of the state, they shove it down everyone else’s throats, so that even those who realized all along what a crock it was, are forcibly subjected to it’s edicts (which are merely nothing more than a means of secular control). And even now, we don’t know how much of the “new findings” which contradict the old findings, are BS. They push hydrogenated vegetable erls for the last 40 years…now all of a sudden, every “study” upon which that was built is out the windo, and now all of a sudden everyuone’s onboard with “animal fats are good for you”?! The sad thing is, no one seems to question the contradictions. Two opposites can’t be true at the same time- either everyone was wrong in the past; or everyone is wrong now (Meanwhile, the truth probably lies somewhere in the middle, or in another alternative). I’m guessing that this doesn’t happen with decaffeinated?? Was wondering the same. The article should really have looked at both, or at least quantified what kind of coffee it is talking about (fresh ground, instant), perhaps decaf has other properties or less in terms of those mentioned. Coffee is coffee. Once you decaffeinate it, its a chemical concoction that has some coffee in it. It’s no longer coffee. Many people eat and drink things that are neither food nor drink but never think about it until they get cancer or heart disease after years of ingesting poisons. Read the ingredients panel on the things that you put into your mouth and you’ll find that you are eating chemically contaminated food and drink. Not so. Today’s decaffeinated coffee is coffee with the caffeine removed, no other things added, nothing else removed. Caffeine does some things, but coffee has hundreds of other chemicals in it. Those other ones are often quite beneficial. Caffeine IS a mild simulant, does dampen the nerve receptors for pain (thus allowing athletes to perform marginallly better at stress), does somewhat bind insulin receptors raising blood sugar somewhat, and does very slightly raise blood pressure and heart rate. In healthy folk, none of these are worrisome. Last time I investigated the decaf process, it used carbon tetrachloride as the agent to decaffeinate the beans. The Swiss water process was also available, but wasn’t used extensively, and I never could get a good write up of exactly how that process worked. Carbon Tetrachloride is used as the agent to dry clean clothes, and I don’t want to ingest even a trace amount of that, which must be left over in decaf beans.